Vlaar, T.; Cioc, R.C. ; Mampuys, P.; Maes, B.U.W. ; Orru, R.V.A. ; Ruijter, E. “Sustainable Synthesis of Diverse Privileged Heterocycles by Palladium-Catalyzed Aerobic Oxidative Isocyanide Insertion” Angew. Chem. Int. Ed. 2012, 51, 13058-13061. Slobbe, P.; Ruijter, E.; Orru, R.V.A. “Recent Applications of Multicomponent Reactions in Medicinal Chemistry” Med. Chem. Commun. 2012, 3, 1189-1218. Broere, D.L.J. 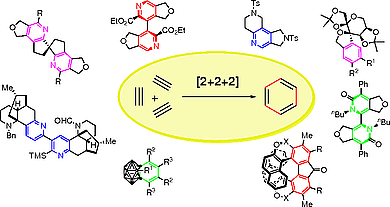 ; Ruijter, E. “Recent Advances in Transition Metal-Catalyzed [2+2+2] Cyclo(co)trimerization Reactions” Synthesis 2012, 2639-2672.
de Graaff, C.; Ruijter, E.; Orru, R.V.A. “Recent Advances in Asymmetric Multicomponent Reactions” Chem. Soc. Rev. 2012, 41, 3969-4009. Kruithof, A.; Ploeger, M.L. ; Janssen, E.; Helliwell, M.; de Kanter, F.J.J. ; Ruijter, E.; Orru, R.V.A. “Multicomponent Synthesis of 3,6-dihydro-2H-1,3-thiazine-2-thiones” Molecules 2012, 17, 1675-1685. Znabet, A.; Blanken, S.; Janssen, E.; de Kanter, F.J.J. ; Helliwell, M.; Turner, N.J.; Ruijter, E.; Orru, R.V.A. “Stereoselective Synthesis of N-Aryl Proline Amides by Biotransformation/Ugi-Smiles Sequence” Org. Biomol. Chem. 2012, 10, 941-944. Mooijman, M.; Bon, R.S. ; Sprenkels, N.E. ; van Oosterhout, H.; de Kanter, F.J.J. ; Groen, M.B. ; Ruijter, E.; Orru, R.V.A. “Synthesis of Imidazolidine-2-(thi)ones via C2-Selective Oxidation and Thionation of 2-Imidazolinium Halides” Synlett 2012, 80-84.
den Heeten, R.; van der Boon, L.J.P. ; Broere, D.L.J. ; Janssen, E.; de Kanter, F.J.J. ; Ruijter, E.; Orru, R.V.A. 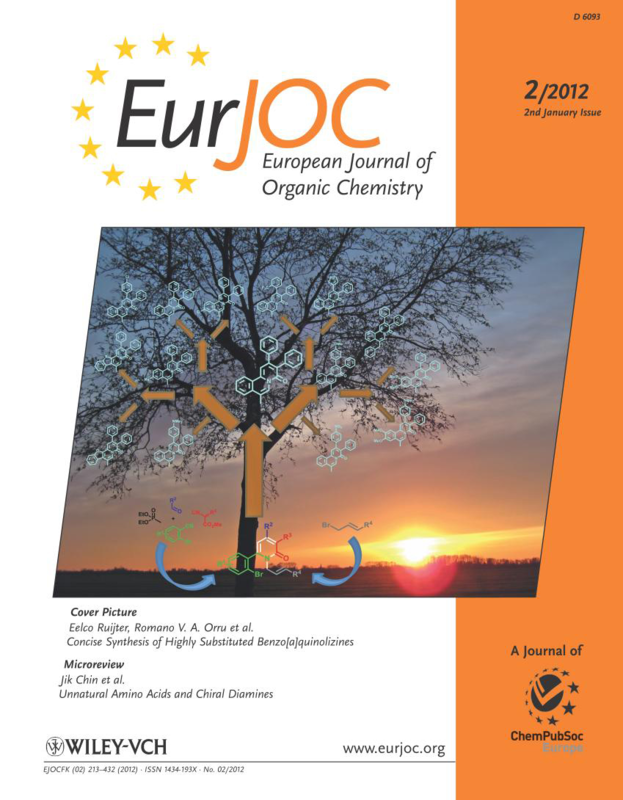 “Concise Synthesis of Highly Substituted Benzo[a]quinolizines by a Multicomponent Reaction/Allylation/Heck Reaction Sequence” Eur. J. Org. Chem. 2012, 275-280.